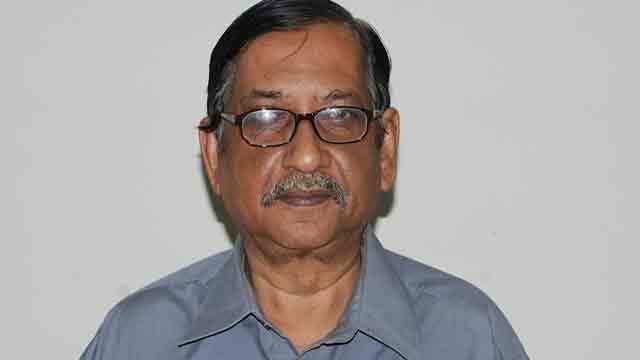 Dhaka, Aug 2 (Just News): The editor and publisher of leading business daily The Financial Express, AHM Moazzem Hossain, died on Wednesday at a hospital in Dhaka. Moazzem's son Fahim Hossain told the Dhaka Tribune around 6:40pm at Square Hospital that his father had died in the evening. He was 73. The Financial Express reported that he had been suffering from various health complications over the last few weeks and had been at the hospital for the last few days. A namaz-e-janaza will be held at his home in Boro Maghbazar in the city at 10am Thursday. A second one will be held at the National Press Club after Johr prayers. He will be laid to rest at Azimpur Graveyard. Moazzem was also the managing director of International Publications Limited, FE's parent company. He studied economics at Dhaka University. At the beginning of his career, Moazzem worked briefly for a bank and then Pakistan's Ministry of Finance as a research officer. His work as a professional journalist began with The Bangladesh Observer. He later worked as a Special Correspondent of The New Nation and thereafter, simultaneously as economic editor of the United News of Bangladesh (UNB) and executive editor, The Dhaka Courier. Later on, he joined the Daily Star as its economic editor. He was a member of the management board of the Press Institute of Bangladesh (PIB) from 1995 to 2001, and a member of the Board of Directors of the Bangladesh Sangbad Sangstha (BSS) - the national news agency - from 1997 to 2000. He served on the boards of various banks and financial institutions. He was a fellow and, later on, a senior fellow of the Bangladesh Institute of Development Studies (BIDS).